A venerable nature’s paradise lies in the north-easternmost corner of the Indian subcontinent. Teeming with virgin forests, gorgeous peaks and home to 26 indigenous tribes, Arunachal Pradesh is unexplored and inviting. A patch of green on the Indian map, the largest member of the Seven Sisters has rightly owned the sobriquet “Land of Dawn Lit Mountains”. Arunachal Pradesh offers a plethora of options for travellers seeking beauty, culture or just adrenaline rush. Although every inch of Arunachal Pradesh is a revelation in itself, however, for those who wish to have a bit of everything, here are the top destinations to experience in this magical land. The first name that comes to the mind when one mentions Arunachal Pradesh is definitely Tawang. Most popular among travellers, Tawang is renowned for the spectacular and spiritual Tawang monastery, the spellbinding Nuranang and Bap Teng Kang waterfalls, the awe-inspiring Gorichen Peak and the venerable Jaswant Garh war memorial. A trip to Tawang, however, is incomplete without a visit to the snow-clad Sela Pass. Itanagar, the state capital, is a confluence of nature and heritage. The historical fort brings recollections of the past while the Namdapha National Park and the Itanagar Wildlife Sanctuary amazes with its abounding wildlife. Ganga Lake, Indira Gandhi National Park, Jawaharlal Nehru State Museum, Polo Park and Craft Centre are ideal sightseeing spots. Bomdila, 8000 ft above sea level, seems like an abode of the gods. The Bomdila viewpoint offers stunning views of the surrounding valley. The gorgeous Dirang Valley and the beautiful R.R. Hill offer scenic trekking trails. The Bomdila Monastery is a terrific centre of art and craft. Sessa Orchid Sanctuary is an added attraction. Sanctuary. Tarin Fish Farm and Tipi Orchid Research Centre are wonderful places to look around. Roing in Lower Dibang Valley is a place of picturesque beauty. Nehru Van Udyan is the most famous site, a forest park on the banks of Deopani River. 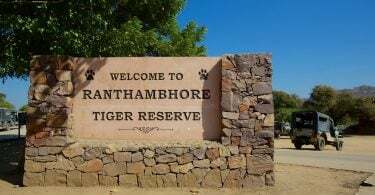 Bhiskmaknagar Fort, Mehao Lake and Wildlife Sanctuary and orange orchards on the way to Bhismaknagar from Roing are other interests. 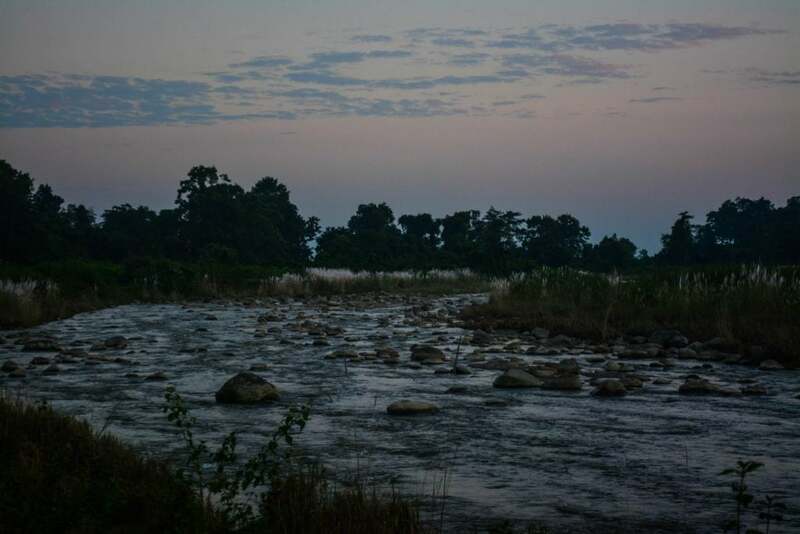 Bhalukpong, only 56 km from Tezpur, is ideal for adventure lovers. Trekking, river rafting and hiking are good options here. The Kaziranga Wildlife Sanctuary, Pakhui Wildlife Sanctuary and Bhalukpong Fort are a must see. The diversity of tribes in Arunachal Pradesh ensures a vibrant melting pot of culture and festivals. 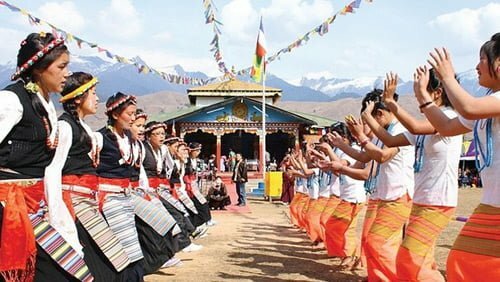 The festivals are reason enough to visit Arunachal Pradesh. Losar heralds the New Year in Arunachal Pradesh and is one of the major festivals. 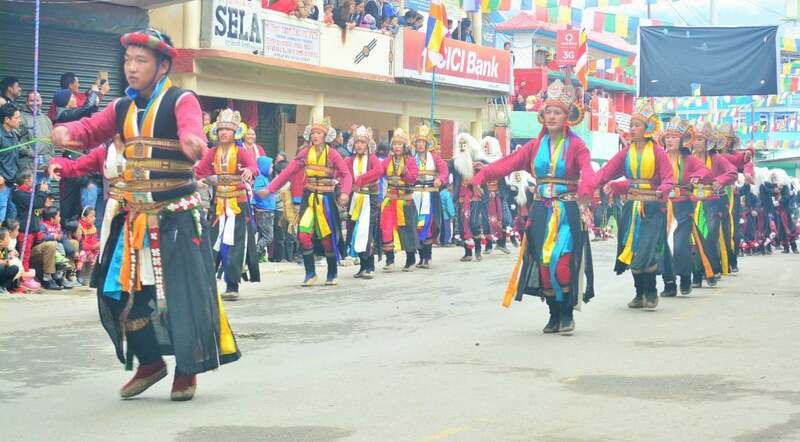 Celebrated by the Monpa tribe, this major festival in Tawang and West Kemang is held in February and lasts for around 8 to 15 days. Solung, another prominent festival, is celebrated by the Adi community in monsoon. The 10-day agricultural festival brings out the rich ethnic tapestry of the state. 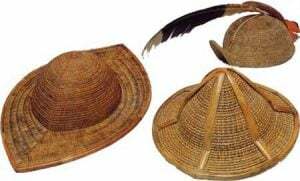 Nyokum festival of the Nyishi tribe is a traditional song and dance festival held for 2 days in February. The Pangsua Pass Winter Festival is a 3-day cultural extravaganza in Nampong where the folk song, dance, and handicrafts in display portray the rich heritage of the region. Boori Boot is a 3-day harvest festival that welcomes spring and worships the spirit of Boori Boot for peace and prosperity. 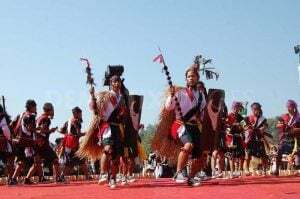 Loku, another important agricultural festival, and Sanken, a religious festival, both occurring in February are other important festivals of Arunachal Pradesh. Home to 26 tribes and over 50 dialects, Arunachal Pradesh shines with its cultural and linguistic diversity. The major tribes are Adi, Aka, Apatani, Bori, Bokar, Galo, Nyishi and Tagins. 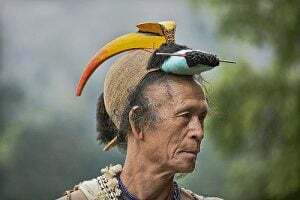 The people of Arunachal Pradesh are of Tibeto-Burmese origin and can be divided into 3 cultural groups: Buddhists, tribes following Donyi-Polo religion (worship of Sun and Moon God) and Christians and Hindus. 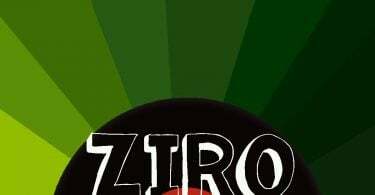 Music plays a very important role in lives of the people and is an integral part of festivals. The three major song styles are Pailibos, Jin-Ja and Baryi. People of Arunachal Pradesh dance not only for recreation but also out of happiness. Group dances are more common with steps synchronising between men and women. 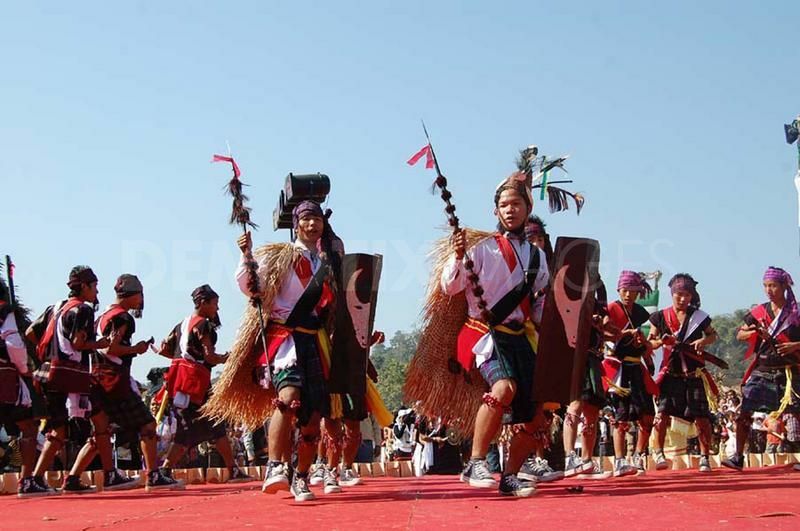 Igo dance of Mishmi priests and War Dance of Adis, Noctes and Wanchos are popular dance forms. produces wood products. Carpet making is practised by the Monpa tribes. Food is just an extension of the culture of the people of Arunachal Pradesh. 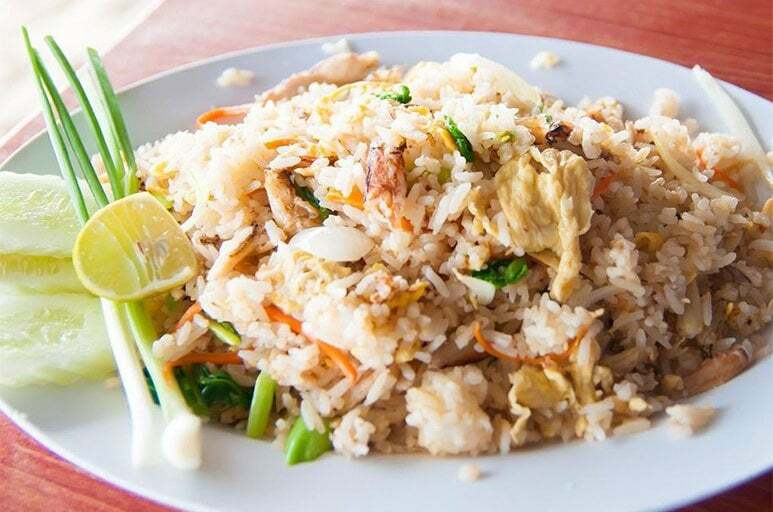 Rice is the staple food of the region. Two interesting ways of cooking rice are in brass utensils with steam (Dung Po) and in a bamboo (Kholam). Bamboo shoots are widely used in almost every dish of Arunachalis. Bamboo shoot fry is a popular vegetarian dish while non-vegetarian dishes include Wungwut Ngam (chicken prepared with rice powder), Ngatok (fish curry cooked with traditional spices) and Poora Haah (roasted duck). Lukter is a popular delicacy combining cooked dry meat and chilli flakes. Pika Pila is an interesting pickle made from bamboo shoot, pork fat and King Chilly. Pehak is a spicy chutney prepared from fermented soya bean and chillies. Chura Sabji (a curry made from fermented cheese and milk) and momos are other delicacies. 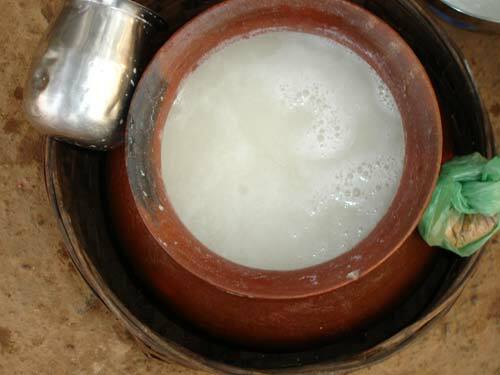 Apong (rice beer) and Marua (millet beer) are popular traditional drinks. Arunachal Pradesh offers a varied shopping experience for those who love shopping. The diverse tribes produce beautiful products that can be bought as wonderful souvenirs. A spectacular array of woollen products like shawls and carpets can be found in the Handicrafts Emporium. Buddhist goods are also aplenty considering a chunk of the people here follow Buddhism. A variety of ornaments like bamboo bangles and beads can be found. 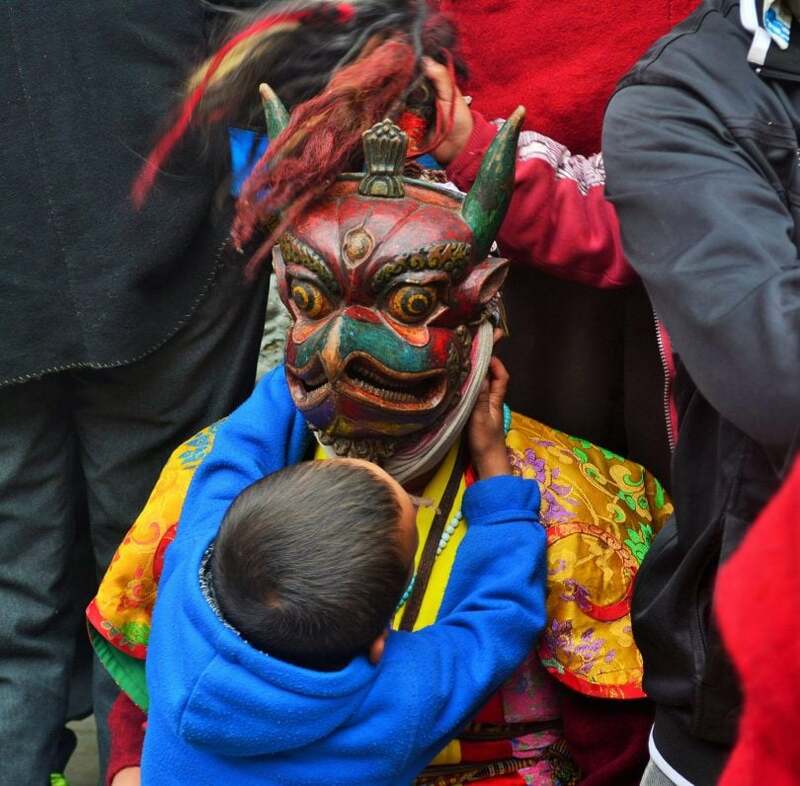 Masks that almost resemble real faces are available made by Monpa tribe. 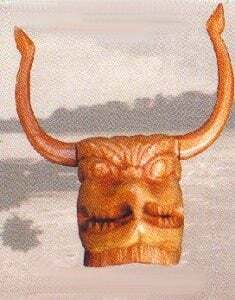 Other handicrafts items include wood carved products, woven products, cane and bamboo works, pottery and ivory work. The Old Market in Tawang is an ideal place for shopping. Yak cheese is available in individual villages. The land of lakes, mountains, forests and monasteries is not hard to reach. The nearest airport to Arunachal Pradesh is Lilabari (North Lakhimpur) in Assam, 260 km away. Kolkata and Guwahati are the nearest airports connecting the region to the rest of the world. If you prefer railways, then Harmuti station (Assam), 43 km away from Itanagar, the state capital, is the nearest railway station. The state is well connected by road to all major cities. The Arunachal Pradesh State Transit (APST) connect important places like Bomdila and Itanagar in Arunachal Pradesh to Guwahati and Tezpur in Assam. For the more adventurous ones, helicopter services are available from Guwahati. Being surrounded by hills and forests, Arunachal Pradesh has a pleasant climate. The best time to visit this region is from October to April. An Inner Line Permit (ILP) is required for Indian tourists to visit Arunachal Pradesh. This is issued by AP Houses in New Delhi, Kolkata and Guwahati. The ILP is provided sector wise. Foreign tourists are required to get a Restricted Area Permit (RAP). This is available only in AP Houses in New Delhi and Kolkata. RAPs are required to be shown at checkpoints and in accommodations. It is advisable to keep several physical copies of the same. For details on Arunachal Pradesh, Tours and Packages Contact Team.